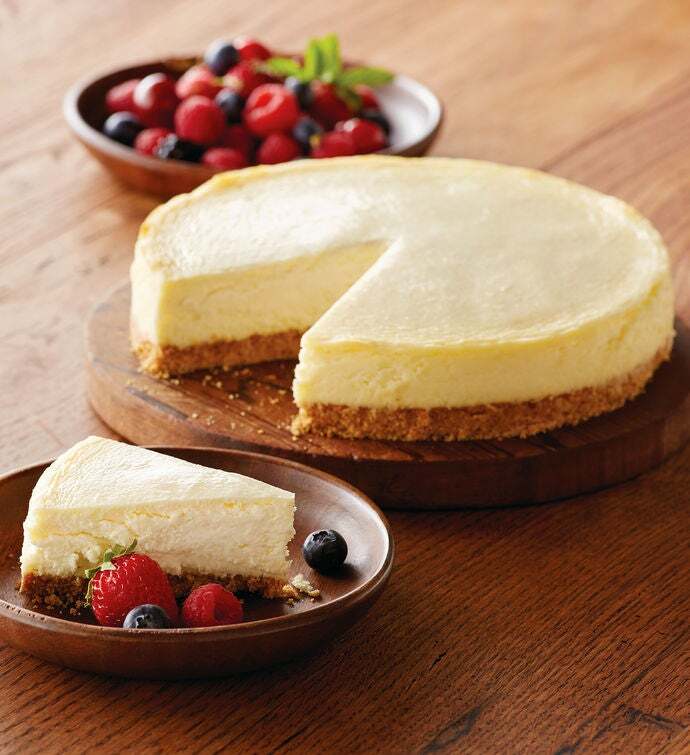 Delightful on its own or topped with fresh fruit, our two-pound New York-style Signature Cheesecake is the perfect dessert. It's a silky smooth gourmet cheesecake made with classic ingredients—like cream cheese, eggs and sour cream—accented with a hint of lemon and poured into a perfect graham cracker crust. Dessert gifts this good are always appreciated and simply irresistible. It's a perfect go-to dessert for any occasion.